The night at Sotheby's, London, began a little slowly with the Italian sale, with some excitement building early on thanks to Fontana and Salvatore Scarpitta. Lucio Fontana's Concetto Spaziale, Barocco sold for $870 625 against an estimate of $746 250-995000, followed by the ceramic piece Medusa, which fetched $522 375, against a high estimate of $497 500. Next up a new record was set for Salvatore Scarpitta as Forager For Plankton sold for $2.24 million. The piece, which was estimated to sell for $1.24-1.87 million, smashed the artist's previous record of $1 065 335, which was set back in 2014. The Italian sale totalled $28 977 500 including buyer's premium, against an estimate of $24 520 738-34 771 363. 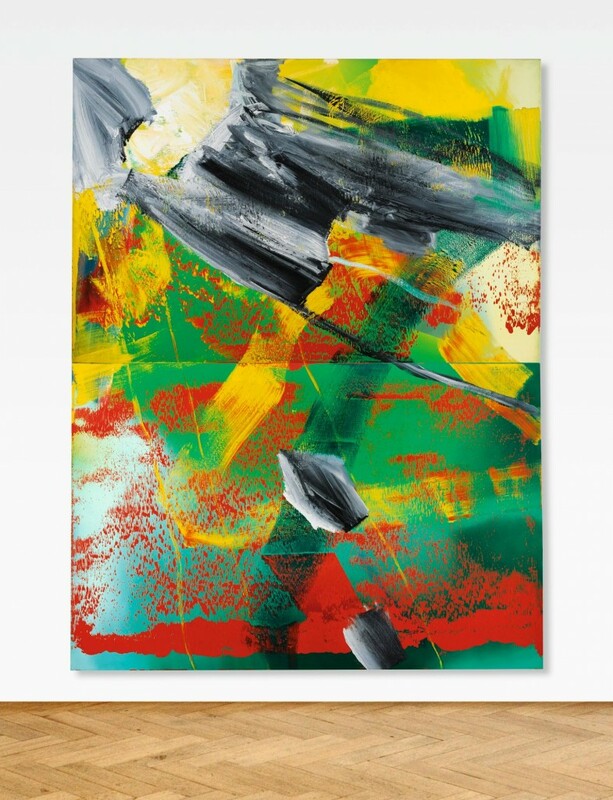 Then it was the turn of the 28 lot Contemporary sale, beginning with an untitled work by Michael Krebber, which kicked the sale off to a healthy start with a $192 780 hammer price against an estimate of $87 000-111 940. It was Calder's mobile Two Legs and a Belly which arose much excitement as a telephone bidder exclaimed $497 500 early on in the bidding, to which Barker responded ''no chance of anyone being asleep at Sotheby's on a Friday night.'' After a battle between the phones and the rooms, the $373 125-621 875 estimated work sold for $932 812. 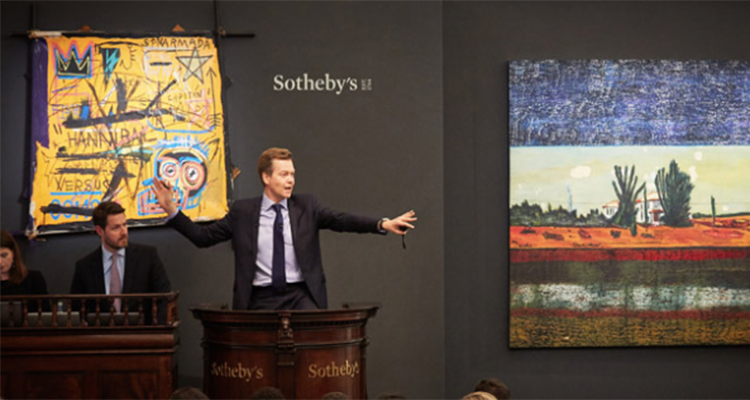 The first Richter of the night to cause something of a sensation was Abstracts Bild, selling for $2.98 million against an estimate of $1.24 -1.87 million, causing Barker to drop his gavel...accidentally. 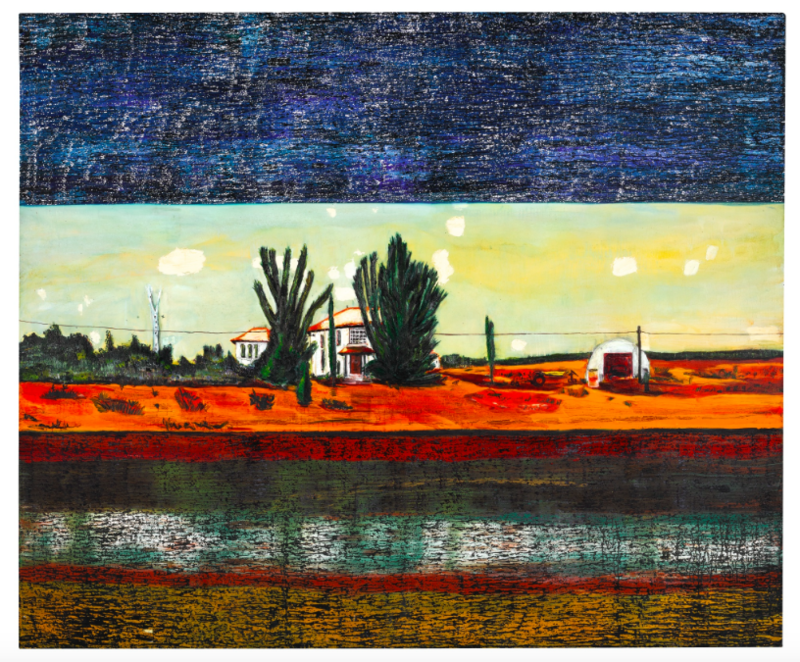 Doig's Grasshopper was met with a more modest round of applause as it sold for $6.34 million against an estimate of $3.48-4.35 million. 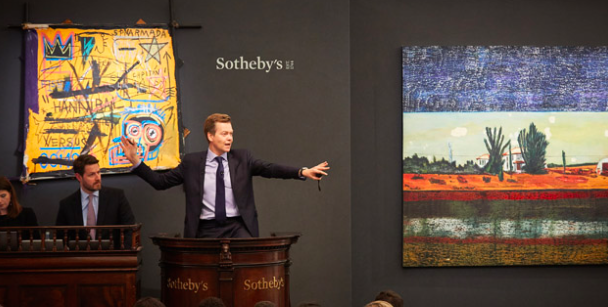 It was Jean-Michel Basquiat's Hannibal which had the room on the edge of their seats as it sold for a staggering $11.57 million against a pre sale estimate of $4.35-5.6 million.